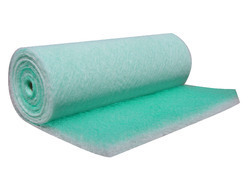 With the valuable assistance of skilled team of professionals, we are offering an extensive range of high quality Filter Roll. 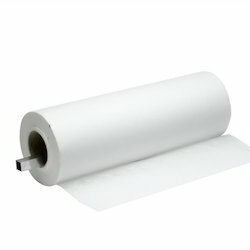 Laminated media rolls from G4 to F9 grades. Our Cutting Oil Filter Rolls have been termed as the best available in markets across the country. The cutting oil Filter Rolls, offered by us, are widely used in several applications. From ordinary Drilling, Grinding, Honning machines to sophisticated Tool grinding machines like Walter of Germany. We supply Superior Quality of Filter Paper Rolls with various Standard Sizes & Microns Which is mainly used for Coolant Filtration Purpose in Grinding Machine, Honing, Cnc Turning Machines, lapping. We also Supply Filter Paper Bags for Cnc Machines as per Customer Requirements. We are a well-renowned organization in the industry to provide our patrons the best quality array of Coolant Filter Paper Roll.